Facebook-owned WhatsApp made a massive move earlier this year for billions of users by integrating UPI payments feature in its app for Indians. This not only made its position stronger in the messaging app market but also in a way pressurised rival apps to do something similar. 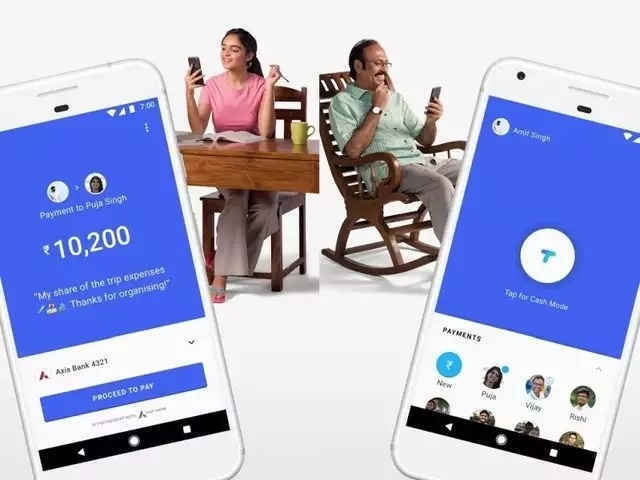 Out of them, Google Tez, which already was a UPI-based payment app, has now been updated with a new feature that makes it a potential WhatsApp competitor. Google has introduced a new chat system in Tez, letting users to chat on the same platform. The feature is being said to be rolling out for some users. The news was confirmed by a Google spokesperson to Gadgets Now in a statement. “We’ve added a feature to Tez that allows you to send simple messages back and forth to your contacts about the payments you make,” confirmed the company. Google, back in September last year at the time of launching the Tez payment app gave a slight context of it. The new feature seems to have been built on this. “Further, your transaction history with each person or business is grouped together like a conversation — just as chat apps group your messages together. This experience feels natural and enables richer, more engaging interactions,” said Caesar Sengupta, vice president of product management at Google. By pushing Tez payment app into a messaging app, Google has overcrowded the market with a total of 7 text messaging apps. These include Hangouts, Allo, Voice, Messages, Hangouts Chat, Tez and Duo. In addition, YouTube also has its own chat feature. Last month Google’ VP, Payments & Commerce, Diana Layfield announced that customers from about 90 utility firms will be able to pay their bills using the Google Tez app. Some of the companies included are Bharti Airtel, Vodafone, BSNL, Reliance Energy, BSES and more.